Stephen discovers he has the ability to hear and control thought. What to do with that ability is another matter altogether. After tragic consequences, Stephen returns home searching for answers. Why is he different? And, exactly who were his parents? In his desire to uncover secrets of his past, he finds himself in the middle of a battle that has been fought for centuries. Two sides beckon him to chose. He, however, wants nothing to do with it. There's only one problem—he has to make a choice! 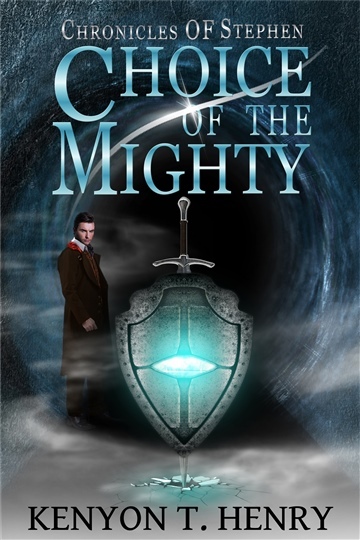 Kenyon is the author of the fantasy series, Chronicles of Stephen. Stories that he enjoys telling are those that are designed to leave the reading feeling hopeful, while recognizing the struggles that we each face in life. He also enjoys the challenge of writing both action and comedic scenes that readers can enjoy.